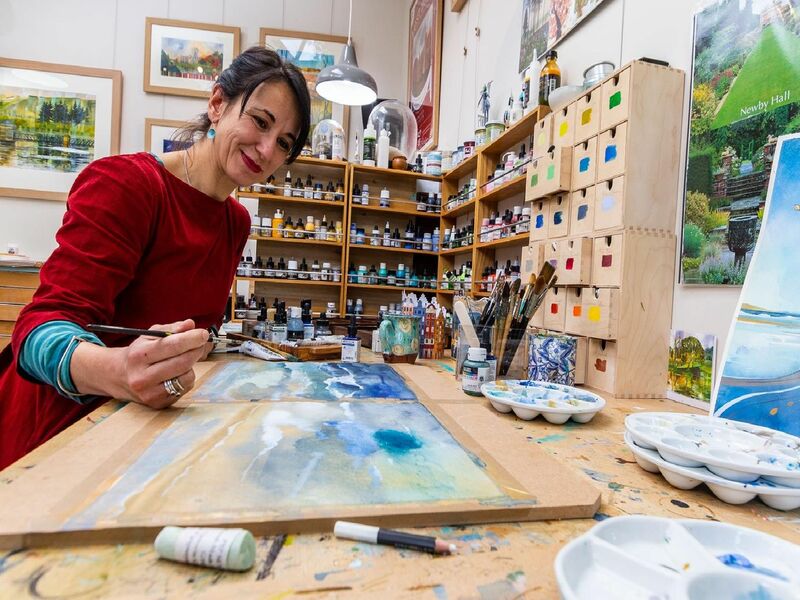 Kate Lycett, the Hebden Bridge artists puts her signature style of pattern and colour to Yorkshire’s landscapes and buildings for the world to see. Creating work from what was once an outbuilding, we take a look around her art studio as she talks about her influences. Running routes she takes with friends around Hebden and its surrounding moorland formed the basis of a collection last year and it was a family trip to the seaside village of Staithes with her children and parents that prompted her painting of the same name. A landscape painter, she takes inspiration from the environments and buildings around her. Her signature style often draws from draftsmans skills such as this, shaped by her grandfather, an architect, who taught her technical drawing. It was he who introduced her to the rules of perspective too and she has kept her maiden name - his surname - for her artwork, in a touching nod to his influence.